Mum of Five Staying Sane: GIVEAWAY to win a NEW Pink Lining 2015 Out and About Mini Messenger bag in the Spring/Summer 2015 pattern of your choice. GIVEAWAY to win a NEW Pink Lining 2015 Out and About Mini Messenger bag in the Spring/Summer 2015 pattern of your choice. As Pink Lining get set to launch their new Spring Summer 2015 collection and pre orders are being taken now on their website they introduce new bay styles as well as three new prints for the new collection. One of their new bags is the Out and About Mini Messenger. One of the smaller bags in their range but still spacious enough to hold a change mat and insulated detachable bottle holder. Ideal for shorter trips or for slightly older babies who don't need as many nappy changes or clothes changes! 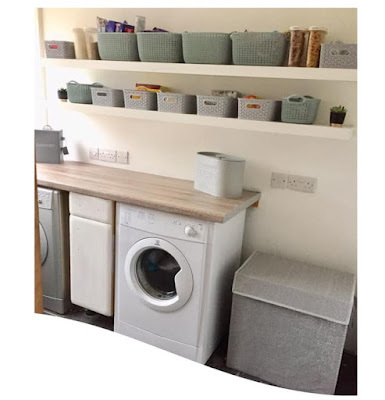 There is large front zip pocket for all the essentials a Mum needs like keys, purse, phone whilst the large pocket on the back is for the folded changing mat. With a large adjustable strap which can be used across the body, on one shoulder or hung across the buggy handles. When your baby bag days are over you can remove the change mat and bottle holder and still have a stylish handbag. Available in the three new prints for the new season which are Sunflowers, a bright vibrant blue background with gorgeous bright yellow sunflowers printed all over with brown stripe shoulder strap. 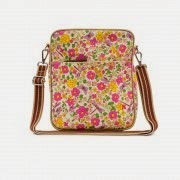 Cottage Garden, pink and yellow floral print with green leaves and pink dragonflies with brown stripe shoulder strap. 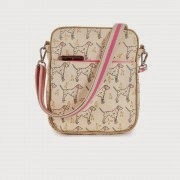 Sam the Dalmatian very cute dalmatian dogs printed all over a cream background with pink shoulder strap. Pink Lining have very kindly given one to give away to one lucky person who can choose from the three new designs available. Just enter via the Rafflecopter below and follow the instructions to enter. (Prize supplied by Pink Lining and will be despatched to one lucky winner at the end of the giveaway once all entries have been verified. Winner chosen at random via Rafflecopter). Thank you for your entry and good luck. 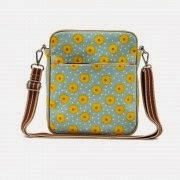 Their new season patterns are lovely and this new addition mini bag is fab. how lovely! would love this for my Daughter. Even my husband is saying these are lovely! Thanks for the chance.